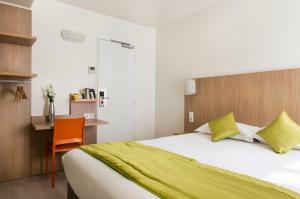 Bel Oranger Gare de Lyon is a 3-star air-conditioned hotel with a lift and is located in the heart of the 12th district. 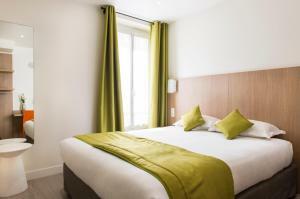 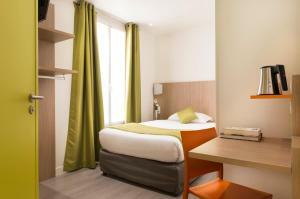 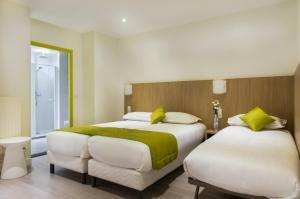 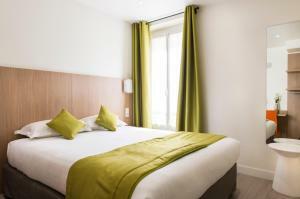 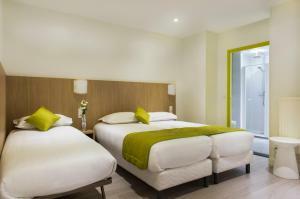 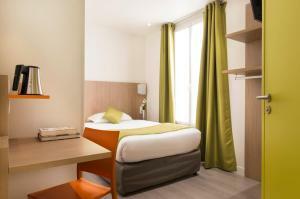 It is just 5 minutes walk from the Gare de Lyon station and a 15-minute walk from Place de la Bastille. 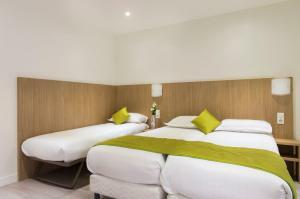 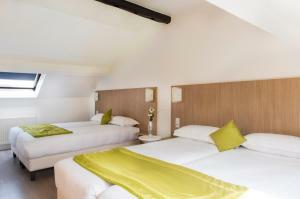 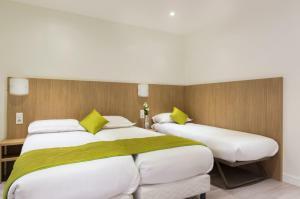 The hotel offers comfortable accommodation in a quiet setting. 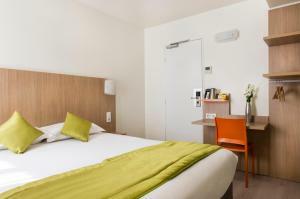 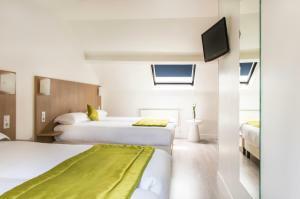 Rooms are equipped with satellite TV and en suite facilities. 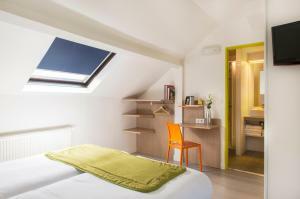 Some rooms are able to accommodate families of 4. 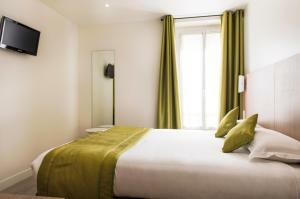 Bel Oranger Gare de Lyon is also just a few minutes walk from the River Seine. 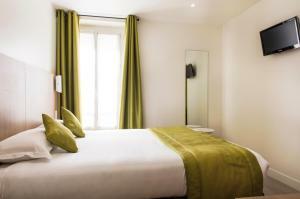 A little further on is the popular Marais district. 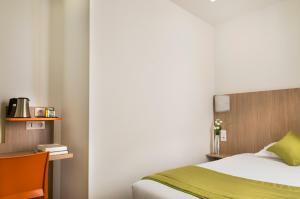 There is a bus stop for Paris airport buses next to the hotel, and AccorHotels Arena is a 10-minute walk away. 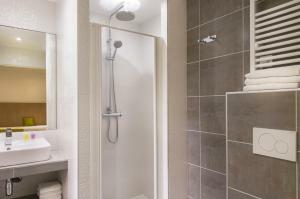 Free Wi-Fi access and satellite TV are provided in this en suite room. 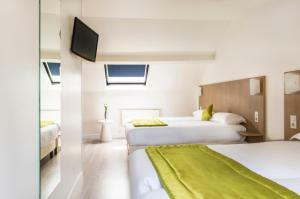 Rate: € 81.00 ... € 300.00; select dates below to get current rates. 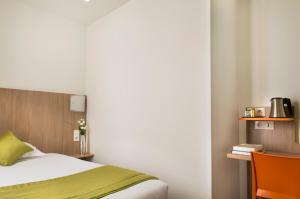 The room features a flat-screen TV with satellite channels, ironing facilities, a wardrobe, air conditioning, and the private bathroom includes a bathrobe and free toiletries.